Something amazing happened in the sky today. Nobody saw it of course, because we were all warned not to look, or to wear very dark glasses. 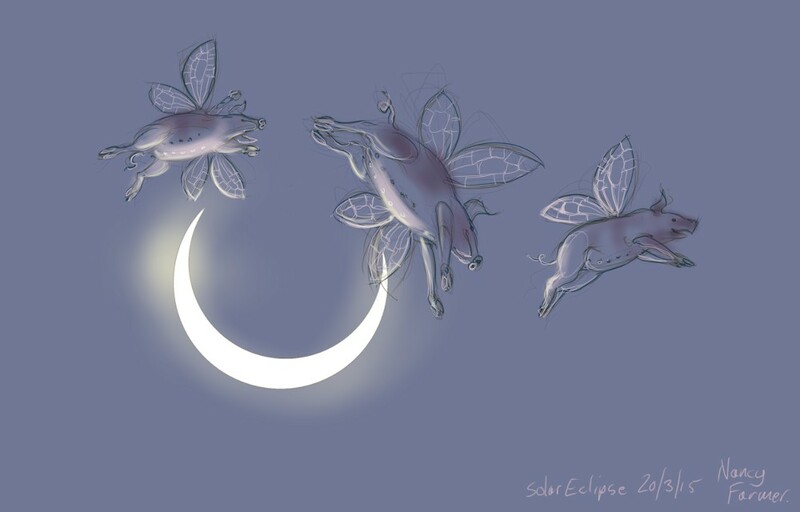 This entry was posted in Events, Fantasy and tagged art, drawing, fairy pigs, fantasy, flying pigs, humor, illustration, pigs, sketch, solar eclipse on March 20, 2015 by Nancy Farmer.